TALC is a mineral composed of hydrated magnesium silicate with the chemical formula H2Mg3(SiO3)4 or Mg3Si4O10(OH)2. It occurs as foliated to fibrous masses, its monoclinic crystals being so rare as to be almost unknown. It has a perfect basal cleavage, and the folia are non-elastic, although slightly flexible. It is sectile and very soft, with a hardness of 1 (Talc is the softest of the Mohs' scale of mineral hardness). It has a specific gravity of 2.5�2.8, a clear or dusty luster, and is translucent to opaque. Its colour ranges from white to gray or green and it has a distinctly greasy feel. Its streak is white. 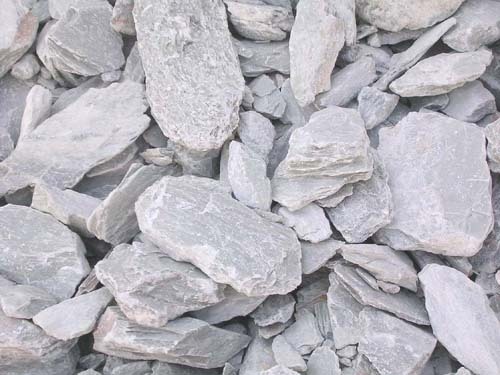 A coarse grayish-green high-talc rock is soapstone or steatite and has been used for stoves, sinks, electrical switchboards, etc. Talc finds use as a cosmetic (talcum powder), as a lubricant, and as a filler in paper manufacture. Talc is used in baby powder, an astringent powder used for preventing rashes on the area covered by a diaper (see diaper rash). Most tailor's chalk is talc, as is the chalk often used for welding or metalworking. Talc is also used as food additive or in pharmaceutical products. In medicine talc is used as a pleurodesis agent to prevent recurrent pneumothorax. We Manufacturer the Indian pharmaceutical Grade Talc Powder Brightness of Maximum 98.5% and Below Also. Colour is snow white to almost silver. Luster is dull to pearly or greasy. Crystal System is mono clinic; 2/m.